Please start by choosing the instrument and set of strings for the instrument you wish to cut a nut for. If the set you want isn't listed, select the closest match and change the guages as you need in the input boxes. Input is assumed to be inches. 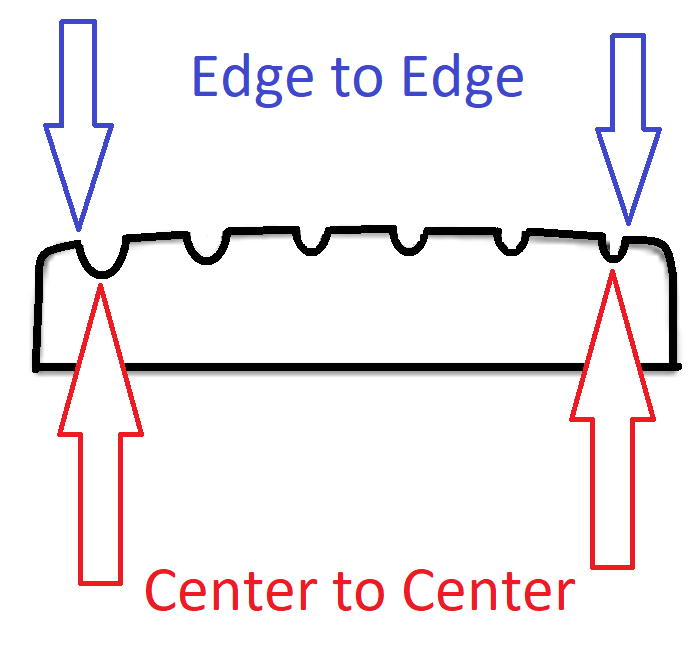 Edge to edge means that the overall width is measured from the outside of the highest and lowest strings. Center to center means that the overall width is measured from the middle of the highest and lowest strings. Both settings yield equal spacing between the strings.